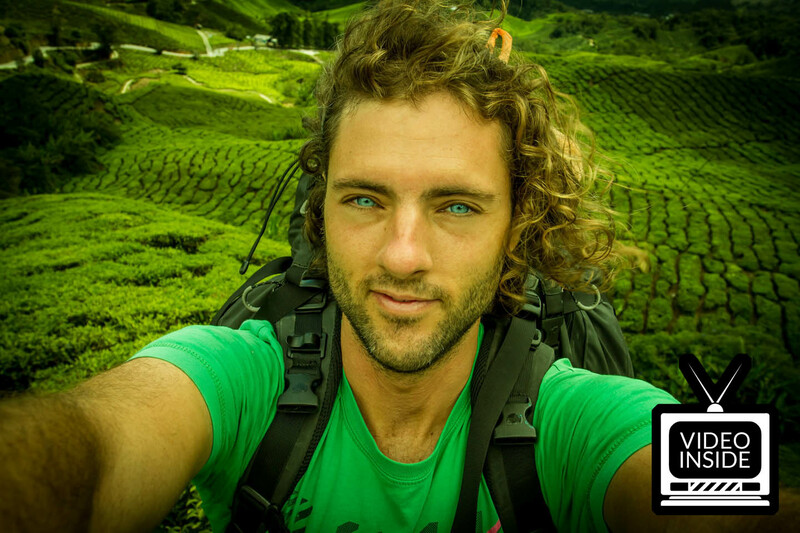 Walk into any hostel in Kuala Lumpur and ask random backpackers what they are up to. 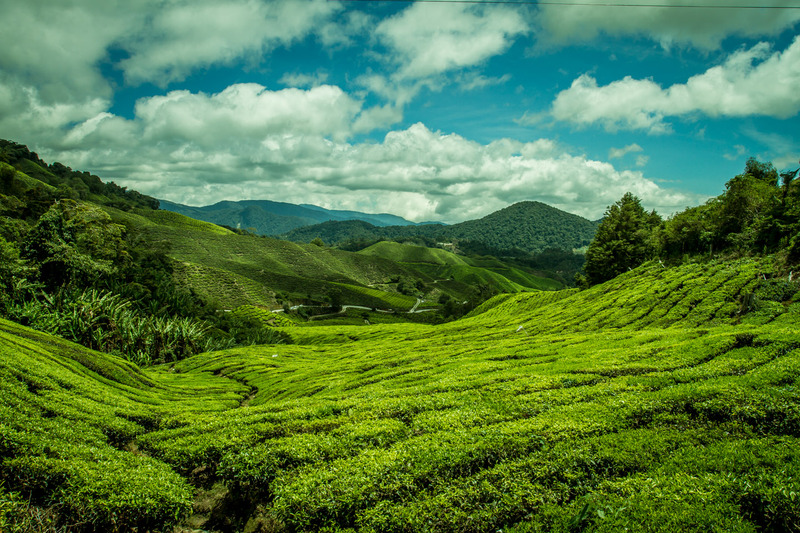 Chances are good that the answer will be: Cameron Highlands. It's totally picturesque, easy to find and makes up for some stunning Facebook pictures. To take a different approach to the offered day trips, I decided to hitchhike and camp around this area for a few days. And guess what, the second and third day were even better than the first one! 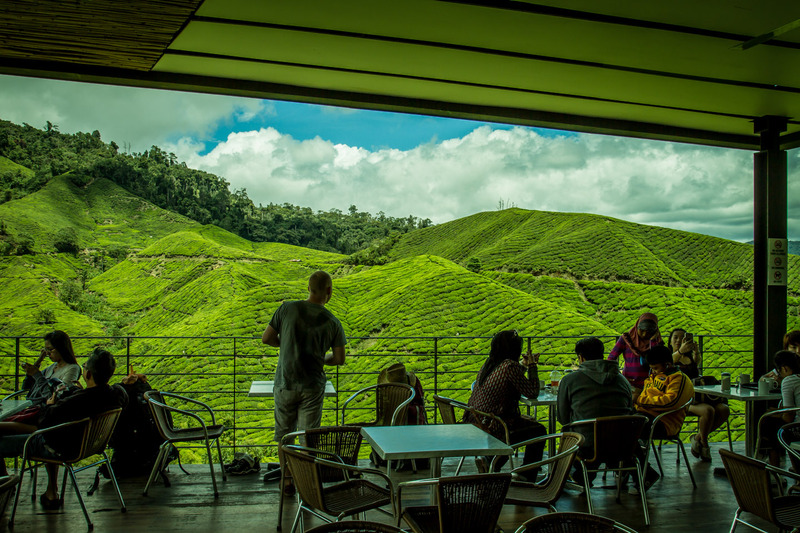 To get to the Cameron Highlands I took the public bus from KL to Tanah Rata. I was in no hurry which felt really good. 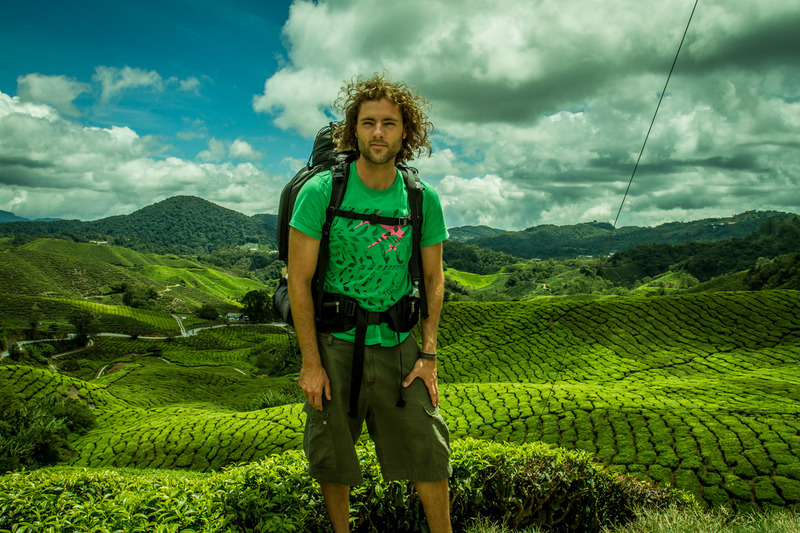 Once I got there I just started walking towards the tea plantation. It's a long walk and I decided to bypass the little town and walk through the jungle instead. I knew there was a little campsite and since it was already getting dark I decided to spent the night there. The only other person on the ground told me I had to sign up at the forest department, which turned out to be quiet easy. I walked in, said hello, the office guy could not understand me, I could not understand him, he smiled, I smiled, handshake and that's it. 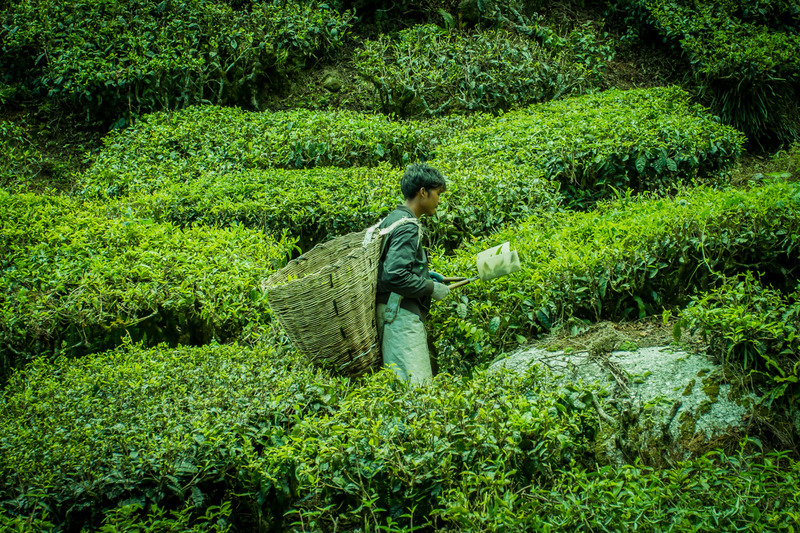 The next day I got up early, packed everything together, bought some food and water in the nearby town and headed for the tea fields. I was just about to visit my first tea plantation. I had seen some great pictures on the internet and was really looking forward to get there. To be honest, what happened next was a little disappointment. The view was great and tea plantations just looked awesome, but the area of cultivation was a lot smaller than what I expected. On the pictures it seemed like the plants would spread out over several mountains. In reality it's more or less one valley, but I gave my best to take a picture that will keep up the illusion. The disappointment didn't last long. After all, it's still an impressive area and walking around the fields on a sunny day was great. I have no idea what this signs says. Unfortunately there was no one to explain it to me. Here's the downside of backpacking, you have to carry everything around. From time to time I try to store some stuff somewhere in advance, but that day my backpack was at about 24 kg. Beside a lot of water, food, tent, sleeping back, mattress and cooker I had to take my camera equipment, laptop and all the other stuff. 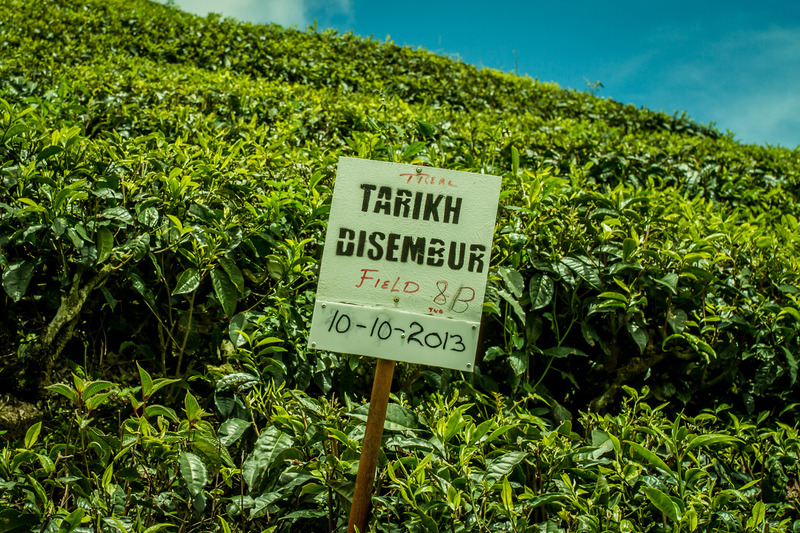 It took about 3 hours to walk to the main complex of the tea plantation. Part of the way was along a major road and I decided to skip it by hitchhiking. Trying to hitch a ride is really easy all around Malaysia, but especially easy and fun in the Cameron Highlands. There are many farmers with pickups and I never had one driving by without offering a ride in the back of his truck. 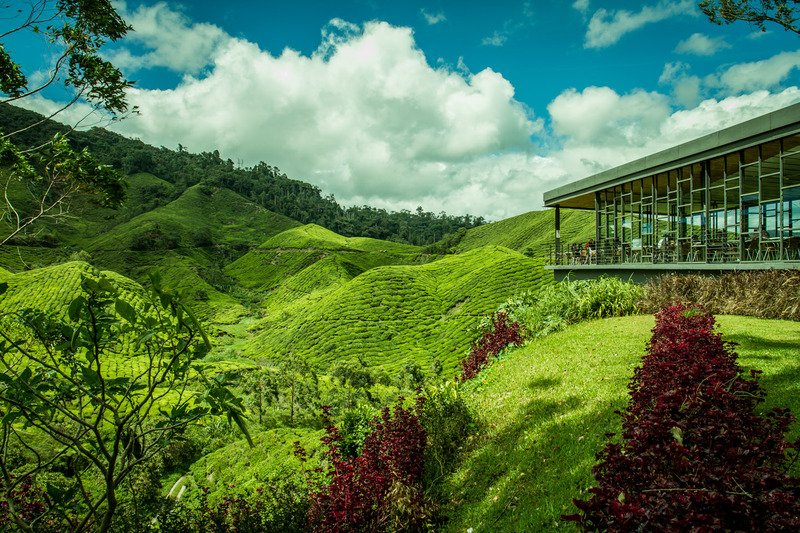 The tea plantation itself is a modern building with a nice cafeteria. 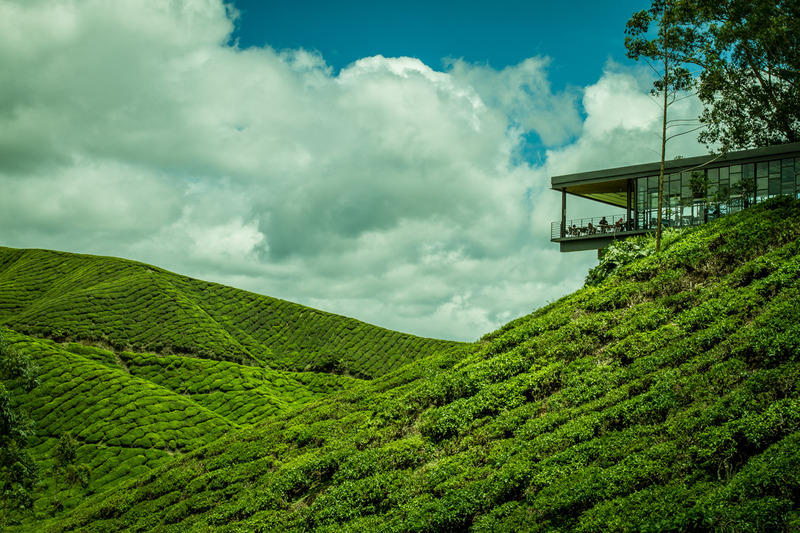 They offer all kinds of fresh tea, but keeping in mind that you just reached the source of all those little tea bags, prices are incredible high. There is a little merchandise store that offers a far better value for your money. All guided tours around the factory start early when the busses from KL arrive. I was late and missed the tour, but there was a little cinema with an explanation video. 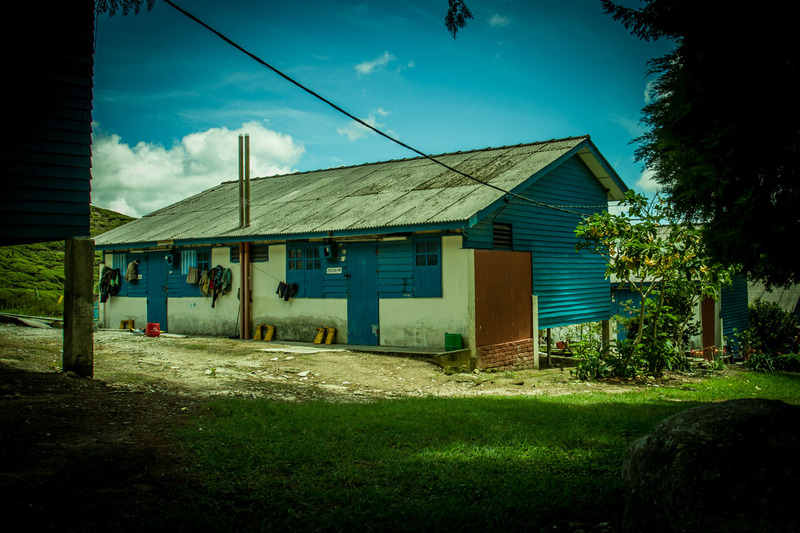 Most of the workers are living on site and are immigrants from India or Bangladesh. The workers housings are pretty basic but compared to what they might face at home probably a good deal. There seemed to be a lot of families and not everyone was working on the plantation. To me it felt like a small town and most of the people I met were very friendly and smiling. Tea business is an early morning business. Everything is about those small, fresh leaves that come up a the extreme end of the plant. 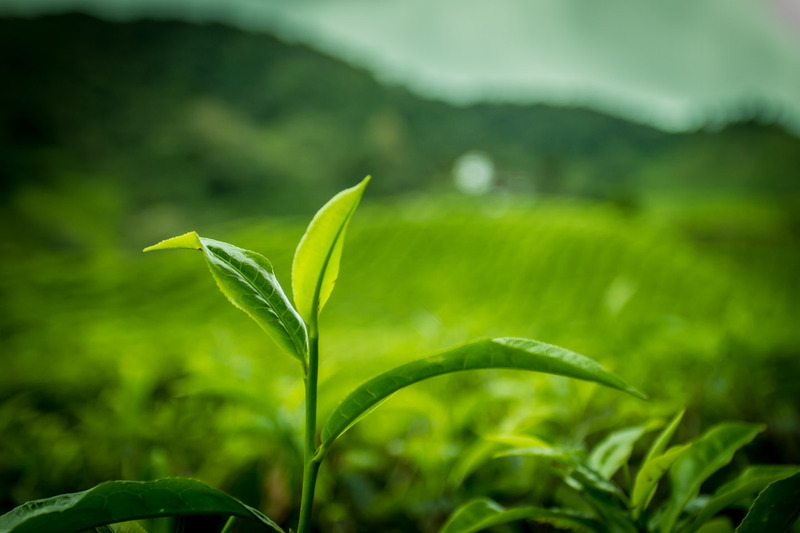 Green and black tea actually come from the same plant. Black tea is green tea that has been fermented and changed color during the process. I was surprised how much tea is still picked by hand. The guys used hedge clippers with a little collection container attached to it. After each cut the leafs trapped in the container are thrown over the shoulder into a big basket. I asked one of the workers if I could help him for a few minutes and he bursted out in laughs. I think it was the phrase, for a few minutes, that made him smile. I have to admit, a few minutes are no big help when you have been cutting tea all your life. Here's a short video of the area and the early morning tea harvest. It's a hard job and most of the worker are from India or Bangladesh. Feel free to share and embed our YouTube video. Keep in mind that watching and clicking the advertisings on our YouTube videos will help to support us. 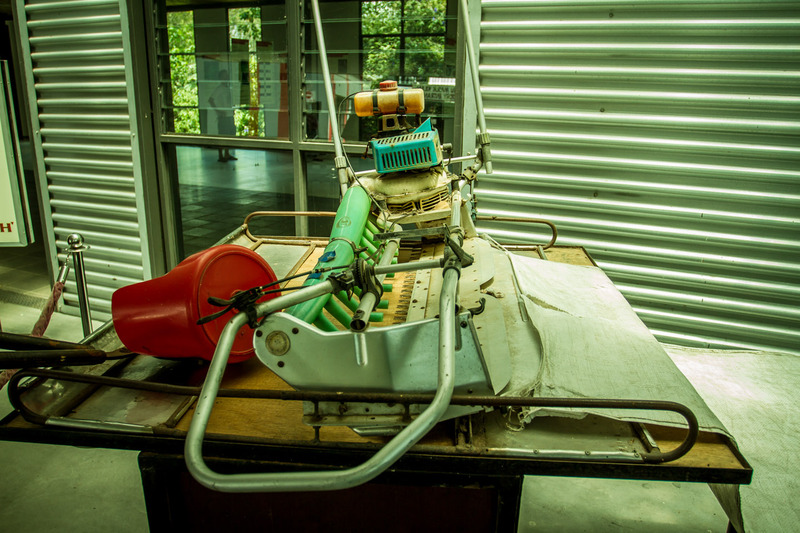 In suitable terrain cutting machines are used. It requires two workers, one on each side. Carefully they cut of the fresh leafs from the tea hedges and collect them in a cotton bag that is attached to the end of the machine. I was told it looks a lot easier to handle than it actually is. If there's one thing beside Coca Cola you can find all around the world, than it's football. 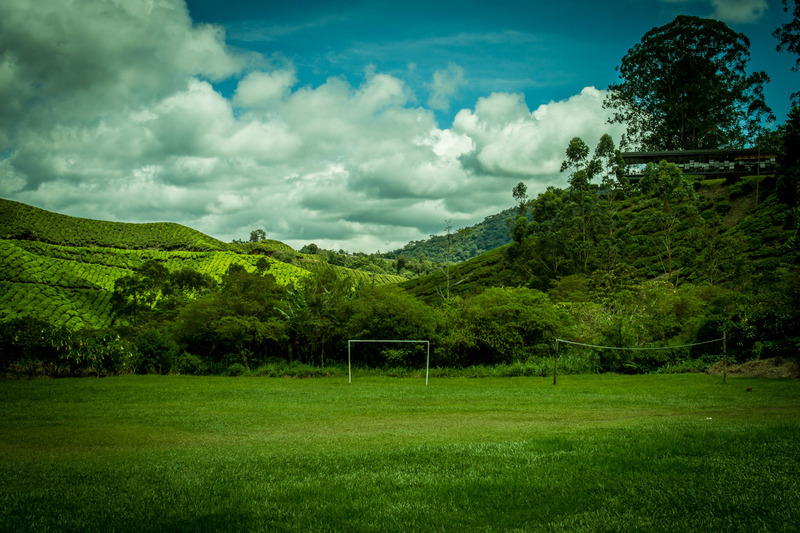 No wonder even the workers in the Cameron Highlands have a soccer field they can call their home. BOH stands for Best of Highlands, which actually is a little confusing. 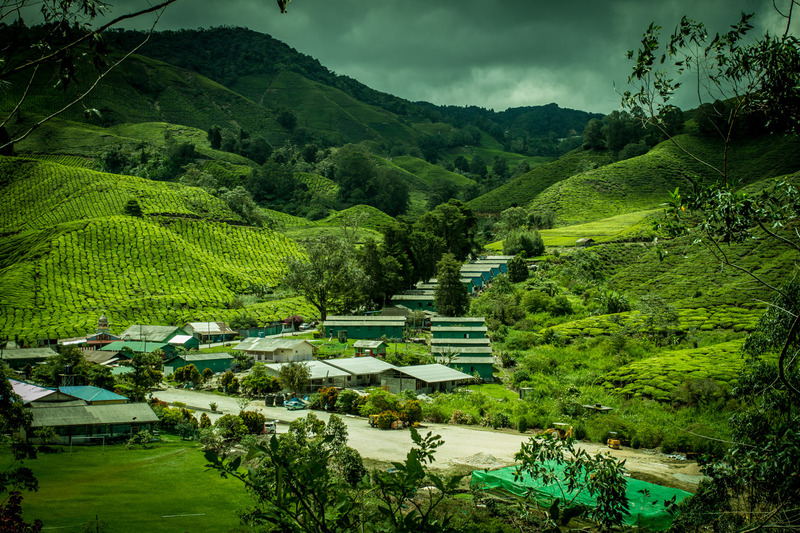 By highlands you might think of the Cameron Highlands but BOH has plantations in several Highlands. 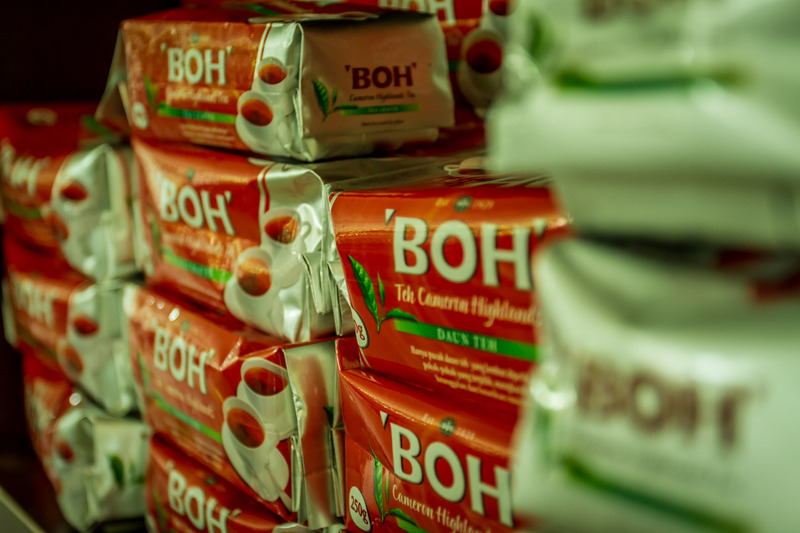 The tea is mixed and packaged in a central factory to ensure constant quality. To me this was a little disappointing, too. I thought the tea I bought at the merchandise shop was made from what I saw at the plantation. But anyway, it's not going to make a big difference. After 2 hours it was time to leave the plantation, but not the highlands. I was heading for Gunung Brinchang, the nearby mountain. 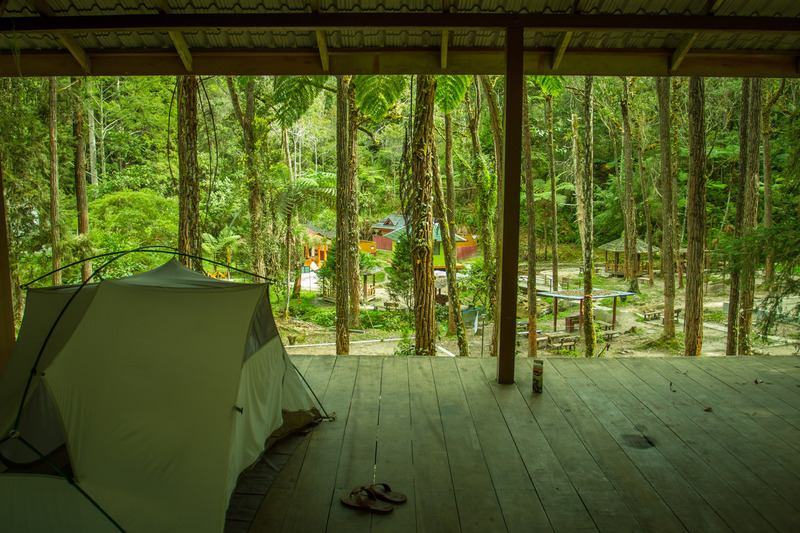 It is home to the famous Mossy Forest and something I did not want to miss out on. Keep on reading in my next blog entry, it's getting even more adventurous.